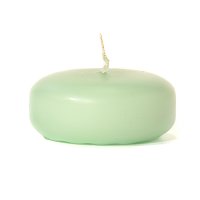 Our small floating candles can easily be used to create a beautiful display in your home. These unscented floating candles come in a large assortment of designer colors perfect for decorating. Placing accessories in the bottom of the floater bowls adds another level of creativity. 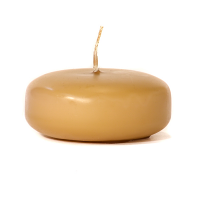 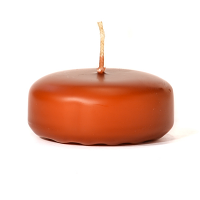 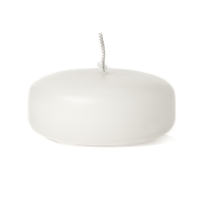 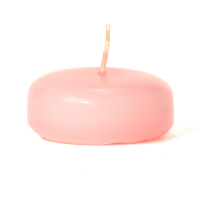 Our disc floating candles are unscented so they can be used around food with out affecting how it tastes. 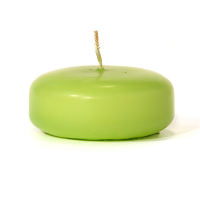 These colored floating candles will burn 4 to 6 hours and are made with a cotton wick.